Aldersbrook Primary School is situated at the heart of the Aldersbrook community, surrounded by leafy Wanstead Park, which forms part of Epping Forest. The increasing popularity of Aldersbrook Primary School and the addition of more classrooms mean the beloved and popular library is no longer big enough for all the children who wish to use it. It is overcrowded and not suitable for an entire class to use at one time. 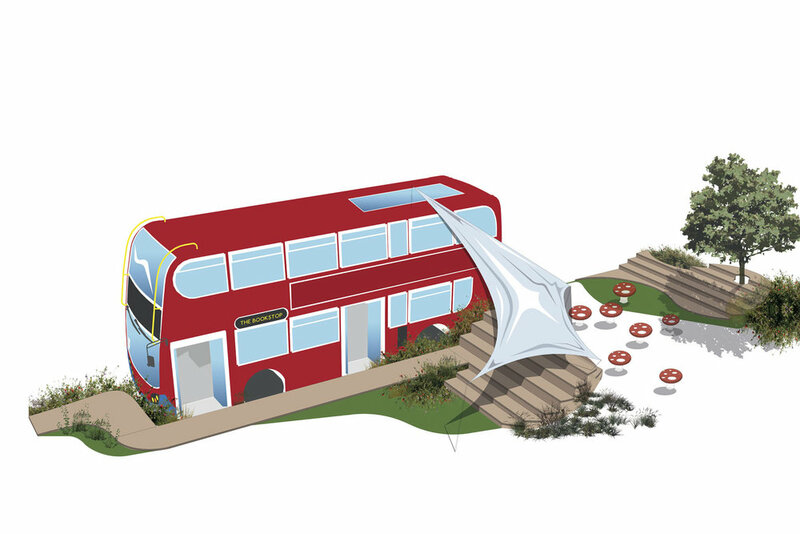 In a new private library space for the school we intend to revive an iconic, vintage, red, double decker London bus, by transforming it into a usable, exciting and inspirational space for the children to learn within. The library and its new interior will embody playfulness and practicality, providing a logical solution to a situation which has left many books and children’s love for books neglected.